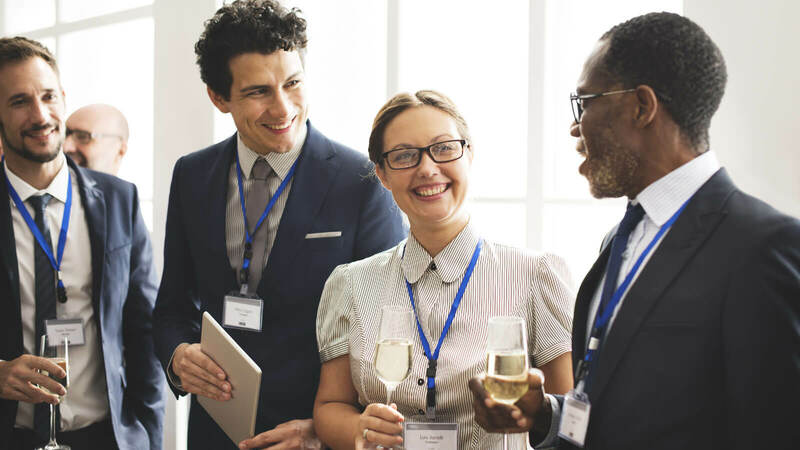 These networking tips will help you turn your next alumni networking event into a networking goldmine. There’s no denying the power of a valuable network. Studies show that you’re 10 times more likely to land a job when your application is accompanied by a referral. And a survey by alumni networking platform Alumnifire found that 90 percent of hiring managers would prefer to hire a fellow alumnus if given the option. Whether you’re conducting a job search or wanting to advance your career, alumni networking events can be goldmines for uncovering important connections and resources. Below are a few guidelines to maximize the value of your next alumni event. Before you go to the event, consider what you want to get out of the evening. For instance, are you looking for new clients or some reliable career advice? Set a clear goal you'd like to accomplish at each get-together. Whether you’re in the office or out with friends, you’re representing your personal brand. What do you want people to think when they think of you? Take your professional reputation into account when you're socializing with your former classmates. Casual networking events at local watering holes can quickly turn into mini-reunions with the friends you already see on a regular basis. Force yourself to talk to at least three alums you don’t know and would likely not interact with outside of this event. They have the most potential to expand your network the furthest. Networking and the job search are often compared to dating, and with good reason. Like any good first date, your goal is to listen more than you speak to the person in front of you. Remember, you were born with two ears and only one mouth – follow the ratio. Always look for ways to provide value to the person with whom you’re speaking before you start asking for favors. The more you learn about them, the easier it will be to offer assistance (and get it in return!). This could be anything from a restaurant recommendation to an introduction to someone in your existing network. It seems so simple, and yet many of us flub this critical step in the networking process. Think of each networking event as a speed dating exercise. If you get someone’s phone number but never call them afterward, the evening was a waste. Similarly, the business cards you collect are only as valuable as what you choose to do with them after you get them. Reach out, follow up and start nurturing these connections to turn them into valuable and mutually beneficial relationships. Note: This article originally appeared on Ladders.